Of all the various casting methods, the ceramic shell process offers the most faithful reproduction of the Artist's original work, especially when a high definition of detail is required. 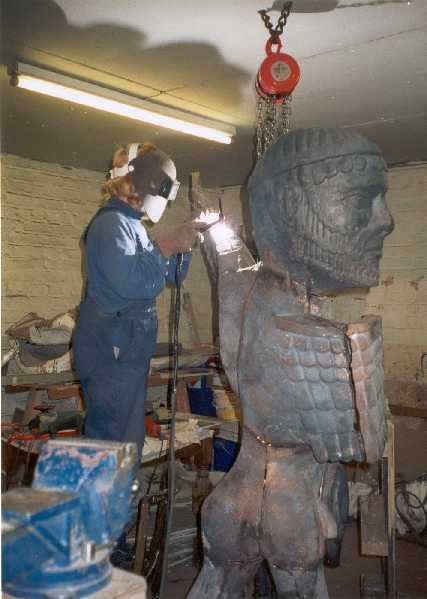 The original artwork is reproduced into wax via silicon moulds. These waxes are sprued with a system of wax runners. The sprued waxes are dipped in a ceramic shell slurry and coated with zirconium and malachite refractory stuccos. The coats are allowed to dry before the next application and, when the required thickness of shell has been built, the shells are fired. This firing process also melts the wax out of the sprued runners. The shells are then ready for pairing. 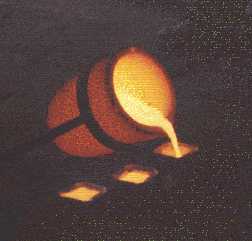 Once the molten bronze has been poured into the shell and has solidified the shell can be broken off to reveal the casting. These parts are then welded together. 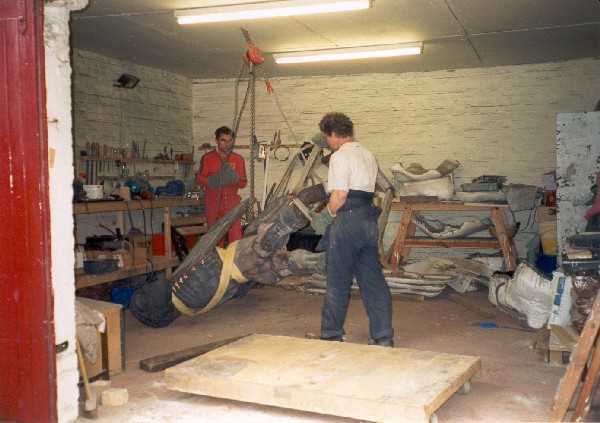 The sculpture needs supporting whilst the joints between the welds are cleaned and a final patination is put on the bronze.